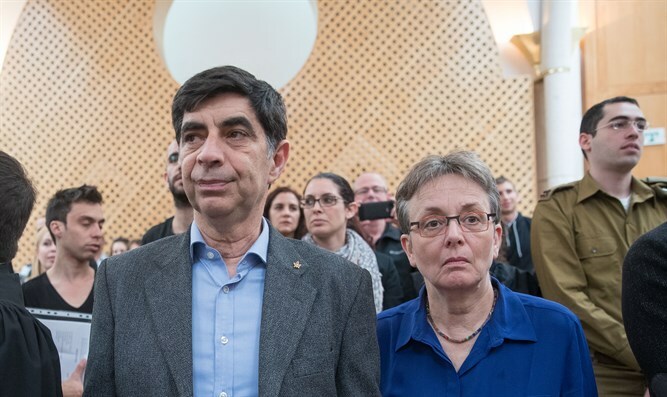 Goldin family asks Supreme Court to ensure cabinet decision not to return bodies of terrorists associated with Hamas is enforced. The Israeli government on Monday notified the Supreme Court that it intends to transfer in the coming months three bodies of terrorists who carried out attacks against IDF forces and Israeli civilians in Judea and Samaria. The bodies in question are those of the terrorist Muhammad Subhi from Tulkarm, who tried to carry out an attack at the Te’enim checkpoint near Avnei Hefetz on April 2, terrorist Abd al-Karim Zuhidi Marshud, who tried to stab an Israeli citizen at a bus station in Mishor Adumim on April 8, and terrorist Nisa Rami Sabrana from Beit Ummar, who attempted to carry out a ramming attack in Hevron against an IDF force. The Goldin family, through its legal advisors Prof. Aviad Hacohen, attorney Oded Svorai and the legal clinics at The Academic Center for Law and Science, responded to the Supreme Court this morning, asking the court to request from the government the intelligence material to ensure that the cabinet's decision not to return the bodies of Hamas terrorists and their affiliates is indeed being applied. The response stated that "The return of the three bodies of terrorists who carried out attacks against IDF soldiers and Israeli citizens is a bad message that may affect and delay the return of IDF soldiers and Israeli citizens, while encouraging terrorism and leading to additional terrorist attacks. A basic condition for the release of the bodies of the terrorists must be that their funerals will not become a propaganda event and a media festival serving those who hold IDF soldiers and Israeli citizens. "